First-year Engineering Science students Eli Scott and Markus Kunej are among four U of T students to receive the prestigious Schulich Leader Scholarships, created by business leader and philanthropist Seymour Schulich. The U of T Schulich Leaders are among just 50 high school graduates across Canada who received the scholarship. The scholarship is valued at $100,000 for undergraduate studies in engineering, and $80,000 for students in science or mathematics. “The students will make great contributions to society, both on a national and global scale,” says Schulich. “With their university expenses covered, they can focus their time on their studies, research projects, extracurricular, and entrepreneurial ventures. Scott and Kunej shared their thoughts on being named Schulich leaders, and their goals for their time at U of T Engineering. 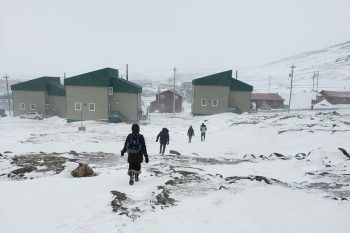 Scott swapped life on a 50-acre farm, where she could walk for kilometres and still be at home, for a shared dorm room at U of T’s Chestnut Residence in downtown Toronto. She credits her duties at home in Renfrew, Ont., in the Ottawa Valley — where she helped care for her grandfather’s sheep and three horses named Tanzee, Quinn and Ellie — for teaching her discipline. 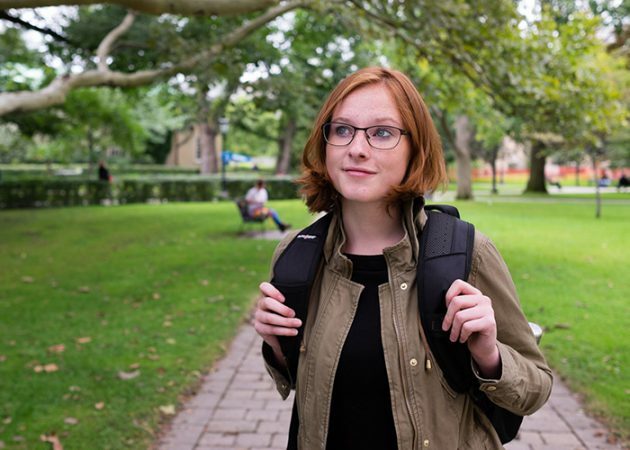 Scott chose a different path than her parents, who are both English teachers. 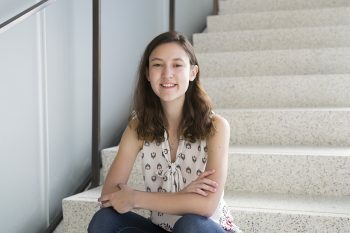 She’s one of only 25 students across the country to have won a Schulich Leader Scholarship in engineering, and is enrolled in U of T’s rigorous engineering science program. She plays hockey and basketball, and has supported special education programs, including the Special Olympics and a peer-interaction program. 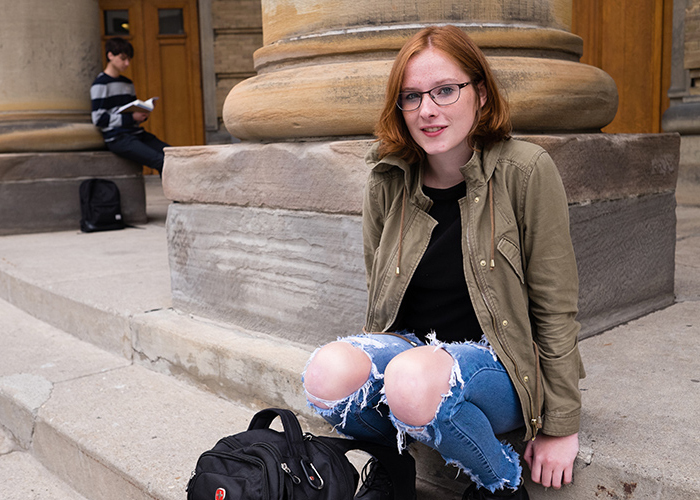 She’s thinking about specializing in biomedical engineering, but hasn’t made up her mind and is even considering a career in politics or policy-making. “I guess it’s a cliché but I want to make a difference in whatever way I’m the most useful,” she says. Kunej found inspiration for an award-winning science fair project through wanting to help his grandmother, Emmy Kurtz, who has glaucoma. He developed a smart belt, which he called the Echo Belt, that helps visually impaired people navigate obstacles in 360 degrees. “It has sonar sensors on the outside and vibration motors on the inside, so it detects obstacles using the sensors and provides haptic feedback. The closer an object is in one direction, the stronger it vibrates,” he explains. 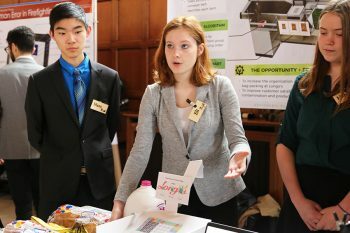 When he got the email saying he had won a Schulich Leader Scholarship to study engineering science at U of T, he spat out his peanut butter-flavoured cereal in surprise, he says. He has enjoyed building things since he was a boy playing with Lego and is keen on specializing in either robotics, aerospace or machine intelligence. 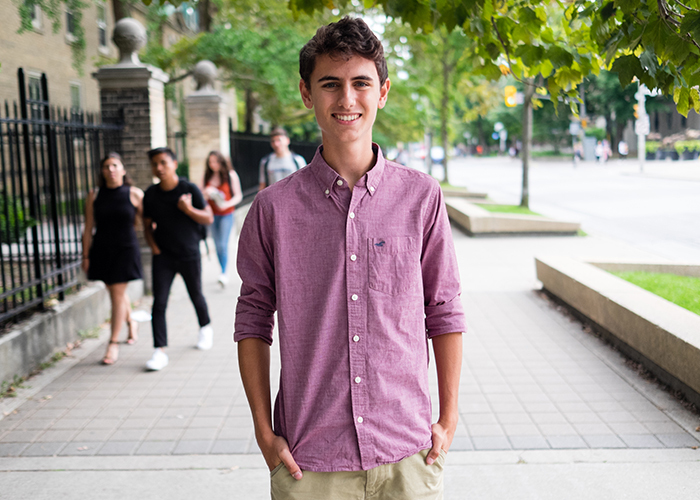 He wasted no time immersing himself in the U of T engineering community, taking a plunge in purple face paint with his fellow students during orientation.